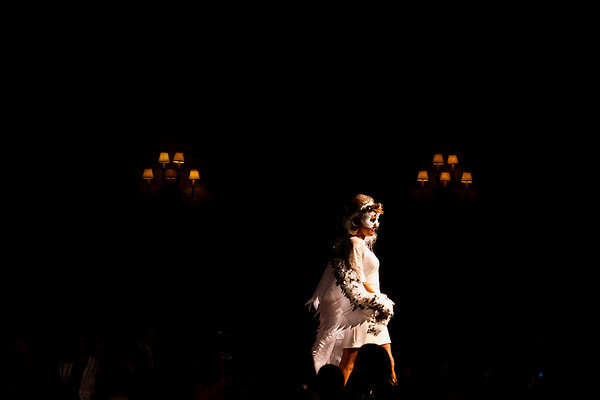 Sarah-Beth Bond walks the runway as one of Traverse City Beauty College Alumni's "The Birds," during Saturday's Global. Art. Fashion. Hair show at the Grand Traverse Resort and Spa in Acme.